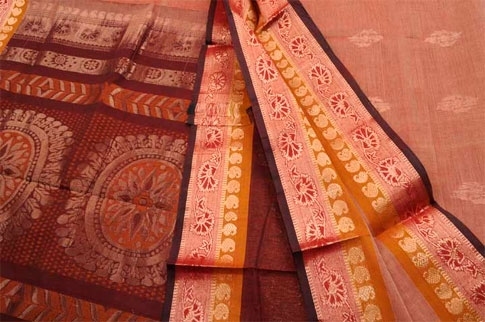 A sari is a strip of unstitched cloth, worn by females, ranging from four to nine yards in length that is draped over the body in various styles. It is popular in India, Bangladesh, Nepal, Pakistan, Sri Lanka, Bhutan, Burma, Malaysia, and Singapore. The most common style is for the sari to be wrapped around the waist, with one end then draped over the shoulder baring the midriff. The sari is usually worn over a petticoat, with a blouse known as a choli or ravika forming the upper garment. The blouse has short sleeves and a low neck and is usually cropped at the midriff, and as such is particularly well-suited for wear in the South Asian summers. Cholis may be backless or of a halter neck style. These are usually more dressy with plenty of embellishments such as mirrors or embroidery, and may be worn on special occasions. The sari signified the grace of Indian women adequately displaying the curves at the right places.